Wow. This new Alien: Covenant poster art is creepy as hell. Haunting. Yet beautiful. 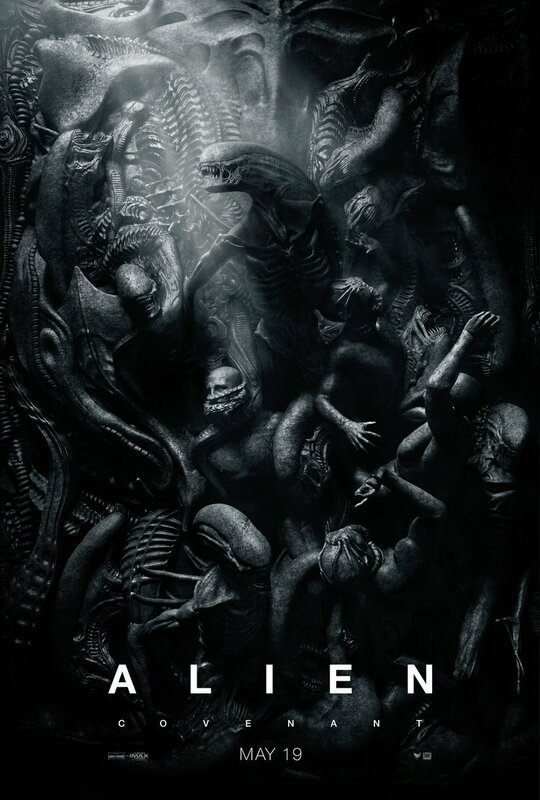 It shows the engineered Xenomorph aliens taking over mankind, with the humans being attacked and impregnated by facehuggers, and fully grown Xenomorphs are surrounding them. The Alien queen is also teased here. It’s the kind of image that could give you nightmares. I’m sure it will haunt many dreams. Pay attention studios, this is how you do a movie poster. When you put in some effort you get great results. I can not wait to see this movie. I loved Prometheus, and this one looks like it will continue the story perfectly.